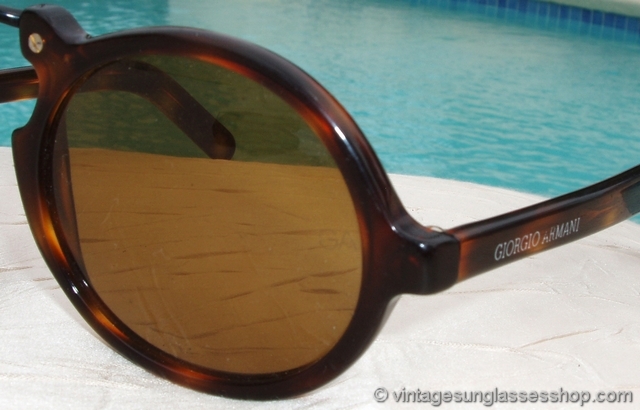 Vintage Giorgio Armani 331 057 sunglasses date from the early days of Giorgio Armani sunglasses design, a unique Gatsby shape in tortoise shell accented by two brass screws at the highly arched nose bridge. 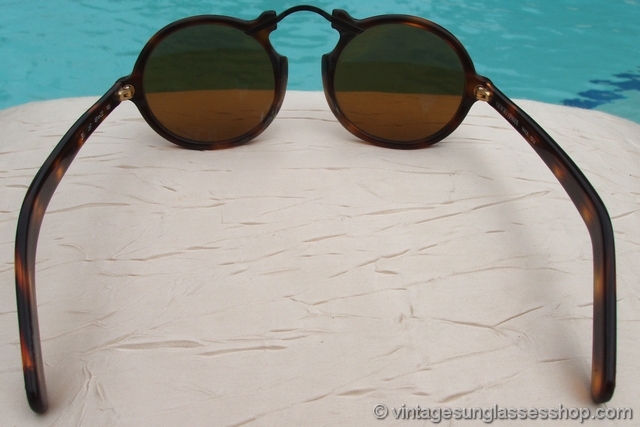 These unique vintage Armani sunglasses have a rich tortoise shell frame, made in Italy, that hold 100% UV protected brown Armani mineral glass lenses. 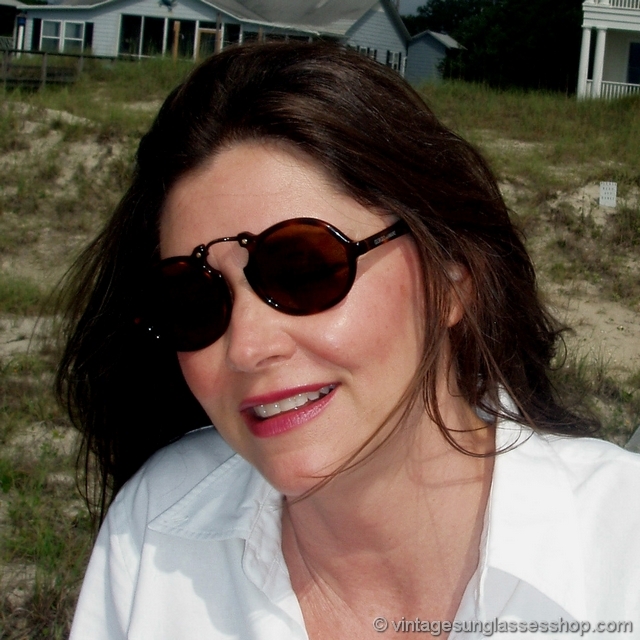 There's a striking contrast between darker and lighter tortoise colors, most pronounced on the two ear stems. 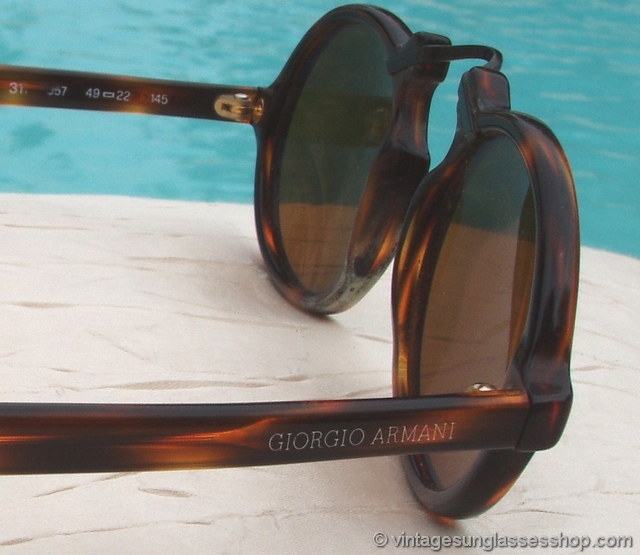 The inside of one stem is marked Giorgio Armani and Made Italy while the other stem is marked 331 057 49  22 145. 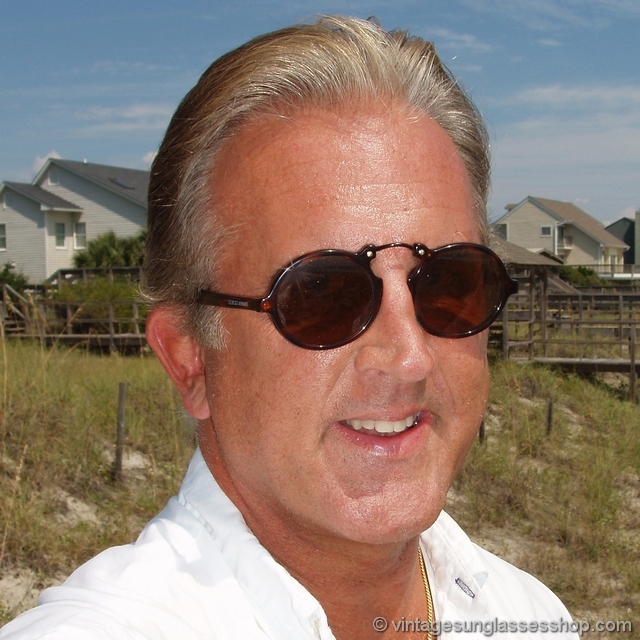 The brown mineral glass Armani lenses measure approximately 2.0" x 1.75" at the widest point, and both lenses are laser etched GA near the hinge points. 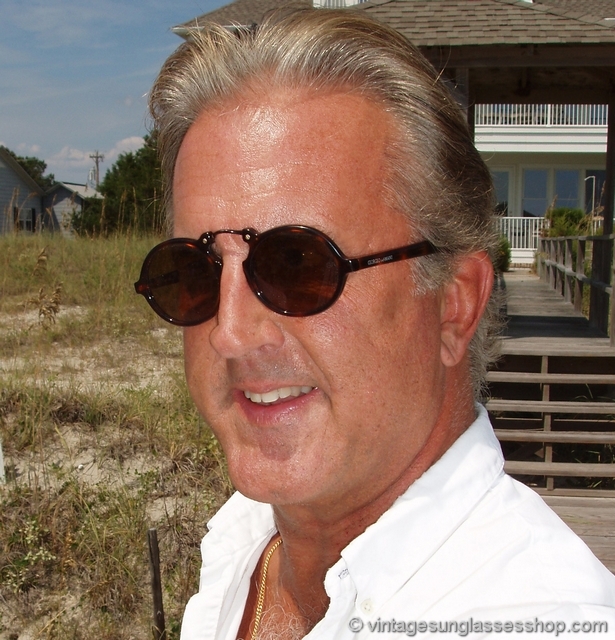 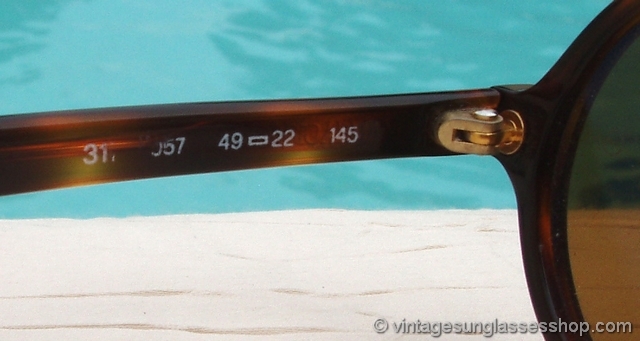 The Armani Italian frame measures approximately 5.25" temple to temple, part of a Sarasota, Florida collection of fine vintage Armani sunglasses.